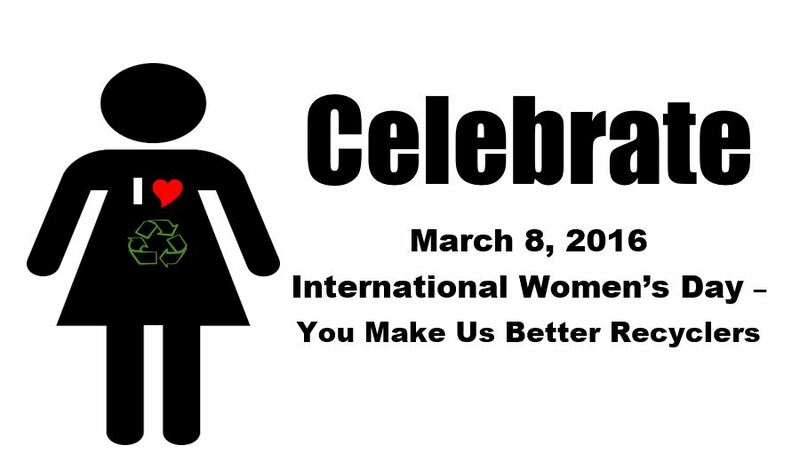 Cheers to women all over the world for all that you do; especially for raising the global recycling rates. Women are better recyclers than men. A 2012 UK study concluded that almost 70% of women who live alone dispose of trash in an environmentally-friendly way compared to 58% of single men. Couples fared much higher on the scale at 80% actively recycling; see you did change him after all. The study produced by the Economic and Social Research Council and by Essex University for Understanding Society, found that women are the most committed recyclers, and more willing than men to expend time and energy on recycling. “Women are probably doing more than their share,” said study lead, Hazel Pettifor of Essex University. Household chores, even when shared show that it is the woman who does the daily or routine chores like cleaning, shopping and recycling. Why do women do more of the cleaning and recycling? Perhaps because it helps to alleviate stress. UCLA archaeologists Jeanne Arnold and Anthony P. Graesch published in their book, Life at Home, that there is a definite link between an over-abundance of household objects and stress for women. In fact, a woman’s long-term well-being can be negatively impacted by too much clutter. Keep calm and recycle on ladies! One final shout-out to a group of special women in India who carry out the final stage of apparel recycling. After your clothing has been worn, handed down, swapped and reused, it is sent away to be recycling into something new. In Panipat, India, female garment workers sort clothing for color and fabric, then remove buttons and zippers before the fabric is cut down to shred and then spun into yarn. Their insights on our disposable western culture may surprise but moreover their outlook will inspire. See what a day in the life for women in Painpat is like in the short, Unravel. Happy International Women’s Day!